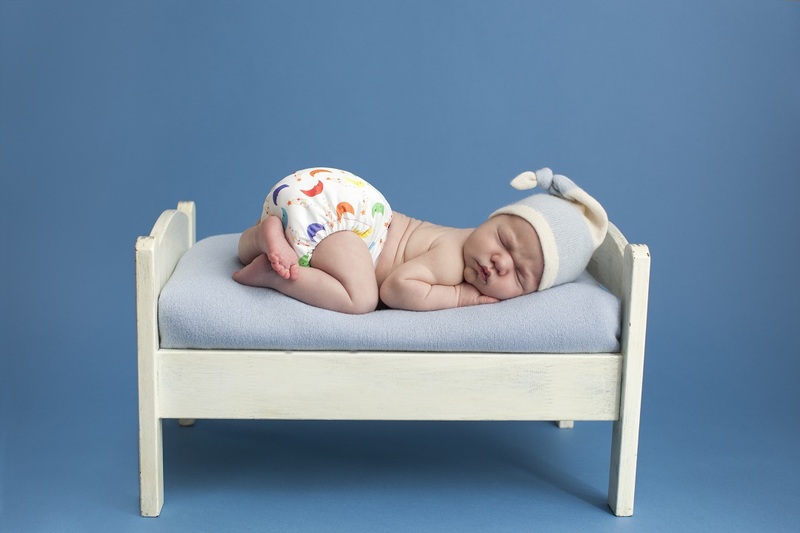 Is it possible to do a night-time nappy change without waking the baby? Yes, however stealth tactics may be required. Say night-night to bright lights. Thankfully with the myriad of soft night light technology, you no longer need to invest in night vision goggles, although admittedly swimming goggles may come in handy for an eye wateringly whiffy change, especially for the uninitiated first time parents. Get yourself a nursery night-light, we love the Grooegg as it has 4 levels of light and also a handy room thermometer too. Keep your cool but keep the baby warm! Once you pop you just can’t stop! Baby gros with a gazillion poppers…now, who invented these? You've heard the saying you could have heard a pin drop, well you could have heard a popper pop is up there too. You hold your breath as you sneakily do the 1st one, phew done yay! Now the 2nd one, pop, baby doesn’t move, phew, the third one oh…no, this is the 4th one…no it isn’t …it's the 5th one… wait a minute, the 2nd one was the 3rd one. FAIL! Oh dear, start again! It’s like being on the crystal maze! And what’s with the holding your breath as you pop each popper? We absolutely recommend you focus on your breathing, it not only helps you steady your hand in readiness for the popper challenge but will also prevent you passing out! Come back vintage baby night-gowns, night-time nappy changes were so much easier then. When was the last time someone wiped your bum…if you are lucky enough to not remember then you may have overlooked the fact that wipes are cold. Shockingly cold too in the middle of the night. If you use disposable wipes, invest in a wipe warmer, or if you are worried about the electricity consumption what about keeping your wipes in a warm airing cupboard or near (but not directly on) a radiator on low heat. If those ideas aren’t practical sitting them on a hot water bottle can also keep your wipes warm for swift and cry free night-time nappy changes. What happens in a TotsBots, stays in a TotsBots! If this all sounds like a bit of a nightmare (do you see what we did there), you could just get a TotsBots bamboozle and avoid night-time nappy changes altogether, as they will actually last your baby through the night. And what’s more amazing, the containment will beat any other nappy hands down, even disposables, so if your baby does do a poop in the middle of the night you can be safe in the knowledge you will never experience the full on night terror and subsequent TPSD…Total Poonami Stressful Disaster, that comes with the leaky poo right up baby’s back. This requires a complete strip down, full body wash, bedding change and gallons of chamomile tea to help you get back to sleep. So if night-time nappies are on your mind, give us a shout, we have been there and worn the baby puke stained t-shirt.